Working with tweens in therapy can be both a challenge and a joy! Tweens are truly living in between two worlds. Some days their behavior seems that of a teenager and other days they seem like a younger child. They bounce between these stages and it can be frustrating for parents as they often find it difficult to connect with tweens. 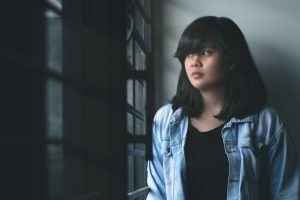 It’s also common for Tweens to struggle with not fitting in with peer groups and not knowing how to connect with their peers. All these issues have to be worked through in the process of therapy. Working with tweens in therapy calls for being present. What I find most helpful when working with tweens is to be present with them, in whatever place they show up that day. I’m careful to remember that my job isn’t to figure them out or problem-solve; rather, my job is to join them in whatever space they allow me to. This practice of just being present helps teens have their own safe experience in the therapy room. The therapy room becomes a place that allows them to be just as they are. It is common for a tween to be resistant to therapy. I work to avoid having the tween client feel that it’s her parents and therapist forcing her to come to therapy. I pay attention to my body language. The way I sit in my chair, for example, says a lot about my role and the space I am in. It’s the connection that occurs in the therapy room that is so important with tweens as they begin their journey into adolescence. If they feel connected to me, the therapy and to their families they will be less vulnerable to unhealthy outside influences. Some interventions for working with tween clients in therapy. . . I find the best intervention technique is to first just be human in the therapy room and get curious about whatever is of interest to the tween client. This can go a long way! Another important part of my initial approach is to talk with the tween about what her expectations are of treatment and what we will be doing here in the therapy room together. This often serves to settle her nerves. I typically will bring out some board games that they know well and just have a fun time interacting through the game. This helps break the ice and melt away the resistance. One of my favorite activities with tweens is coloring with the client in grown up coloring books because they seem to straddle the developmental stages of childhood and adolescence nicely. It’s relaxing and helps us to join in a non-threatening way. Even if the tween herself isn’t interested in coloring, I have been known to color while we sit in silence. Placing the coloring books and markers in a neutral space and saying out loud they can make choices here and they also are free to change their minds. In the therapy room they are free and welcome to make their own choices. Allowing the space in the room to be uncomfortable without having to “fix” it, let’s them know they are safe with me to feel whatever emotion they are feeling. Sometimes I involve family members in the sessions and one way to help the other family members connect with tweens is to have the tween teach the family how to play a game. Often the child and I will develop or learn a new game together and then have the family join us so the tween can teach the family how to play. This simple activity works to keep the family connected while also seeing the tween as knowing and able, and of course it’s fun! I utilize mindfulness practices with tweens including progressive muscle relaxation and breathing techniques that they can easily practice even when around others in a way it won’t draw attention. Together in session, the tween and I develop ways the family can connect each night using a meditation or a breathing technique. This serves the purpose of connection and also relaxation while allowing time for any big emotions that may have come up throughout the day. I introduce an app called Calm which has a visual breathing cue that tweens really take to. I also encourage them to get creative and establish a small space in their own room to own as their calm corner, where they go to when they are feeling overwhelmed or anxious. I make it clear that this space is not to be used a a banishment location or a punishment but as a special place the tween creates and can go to whenever she wants to. My overall goals when working with tweens in therapy is to help them to feel connected with me, with their families, their friends, and most of all within themselves. (Note from Lynn Louise Wonders: If you’d like to learn more about working with Tween girls please check out my 2 hour recorded webinar that provides APT and NBCC approved hours right here at this link). 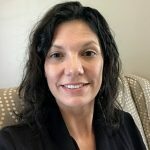 Kerri Anderson is a Licensed Marriage and Family Therapist, specializing in working with children and families using a connection based approach based on the Internal Family Systems model.She is the founder of Anderson Counseling & Wellness, LLC, an Internal Family Systems trained therapist, an AAMFT Approved Supervisor in Training, as well an Adjunct Professor at Fairfield University located in Fairfield, CT.
Kerri Anderson is a Licensed Marriage and Family Therapist, specializing in working with children and families using a connection based approach based on the Internal Family Systems model. 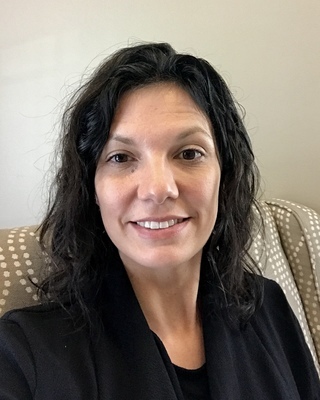 She is the founder of Anderson Counseling & Wellness, LLC, an Internal Family Systems trained therapist, an AAMFT Approved Supervisor in Training, as well an Adjunct Professor at Fairfield University located in Fairfield, CT.